There are countless cocktails that have withstood the test of time, but few fall into the category of the quintessential classic cocktail. The Old Fashioned in one of them — long regarded as a bar staple, the respected cocktail brings about just as much history to the world of mixology as it does flavour. Cocktails in the 1800s were defined by their four key ingredients — alcohol, bitters, sugar, and water — all of which work in wondrous alchemy. It didn’t take long for bartenders to add their own flourish to the four basic ingredients, and the world of cocktails burgeoned with new additions to the menu. This delighted many an adventurous drinker, while at the same time appalling traditionalists who felt that modern flourishes had no place in a bar. These were the connoisseurs who ordered their drinks the old fashioned way (hence the name). The Old Fashioned might be one of the most fundamental cocktails ever created, but it’s surprisingly hard to nail. As a classic that’s just as easy to pervert as it is to perfect, it’s seen numerous variations. The closing of speakeasies and reopening of bars post-Prohibition saw bartenders alter the classic recipe with powdered sugar, and a muddled blend of cherries and oranges, which enraged plenty, including a man known only as “Old Timer”, who famously wrote into the New York Times to bemoan the cocktail’s better days. Unfortunately, this newly-concocted version of the Old-Fashioned soldiered on for decades, until a cocktail renaissance in the 21st century finally inspired a closer look at the quality and provenance of the drink. Which brings us to present day, which sees the Old Fashioned going back to its roots and still being regarded as one of the most revered drinks for originalists. 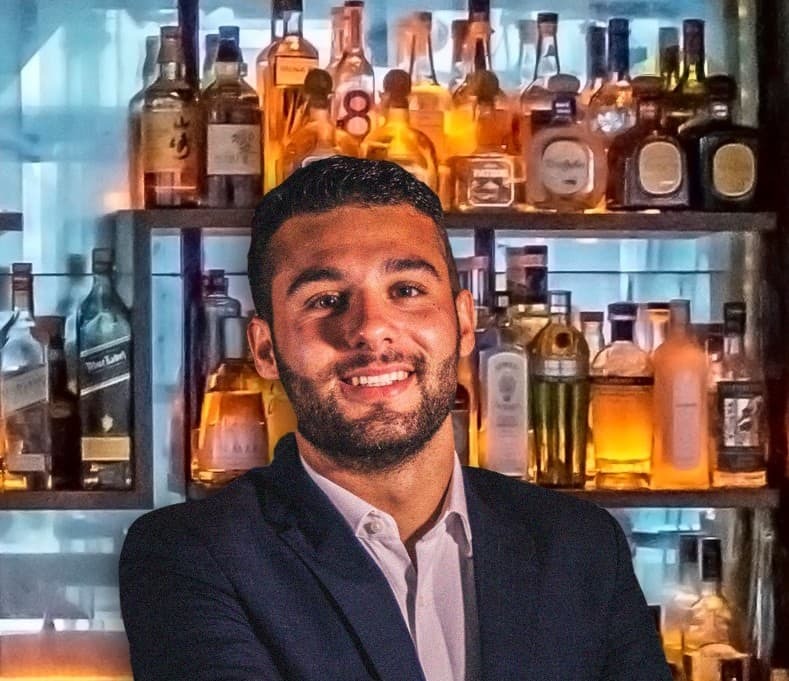 As winner of the Diageo Reserve World Class Hong Kong and Macau in 2018, Simone Rossi is no stranger to making an exceptional Old Fashioned. Especially when the Italian-born bartender counts London’s prestigious Quo Vadis members’ club and Aqua London as part of his portfolio. Now a bar manager at the famous Aqua Hong Kong, he shares his thoughts on the classic while letting us in on plenty of tips on how to make a remarkable Old Fashioned with the Johnnie Walker Blue Label. What defines a good Old Fashioned? A good Old Fashioned begins with a great whisky, and for something extra-special, the exceptional Johnnie Walker Blue Label is perfect for this. With Johnnie Walker Blue Label as a base, you are halfway there. The rest is all about technique – the quality and quantity of sugar used, ice and dilution. An Old Fashioned may appear simple, but there is a skill to combining the ingredients and maintaining the right balance. What should people pay attention to the most when making the cocktail? Sugar should be kept top of mind at all times – it will determine how sweet or sharp the Old Fashioned is. Ice and dilution are also very important factors – each of these details will drastically affect the taste of the cocktail. What are some of the common mistakes that bartenders make when preparing this cocktail? I find that current bartenders sometimes forget that an Old Fashioned is a simple, classic serve. The pervasiveness of technology in our industry has led to fantastic innovation, however, when it comes to something as classical as an Old Fashioned, bartenders can become distracted by trying to incorporate modern, futuristic twists and lose sight of the little details that have ensured that this drink has stood the test of time. How has its popularity evolved over the years? Do people still order it as much or are there other whisky-based cocktails that are more popular now? The Old Fashioned is a never-ending story! It’s a cocktail favourite that has lived and will continue to live on for decades to come – I do not see it going anywhere anytime soon. Another whisky-based cocktail that continues to perform well is the classic Highball. That said, I have noticed an increased trend in low-ABV cocktails filtering into Asia’s bar culture, not to mention worldwide. Watching bars adapt their creativity to meet this demand has been inspiring – and I’m looking forward to seeing how this trend continues to grow. How does the Blue Label make a difference in this particular cocktail? Is there anything particular about its flavour profile that brings out the other ingredients more here? 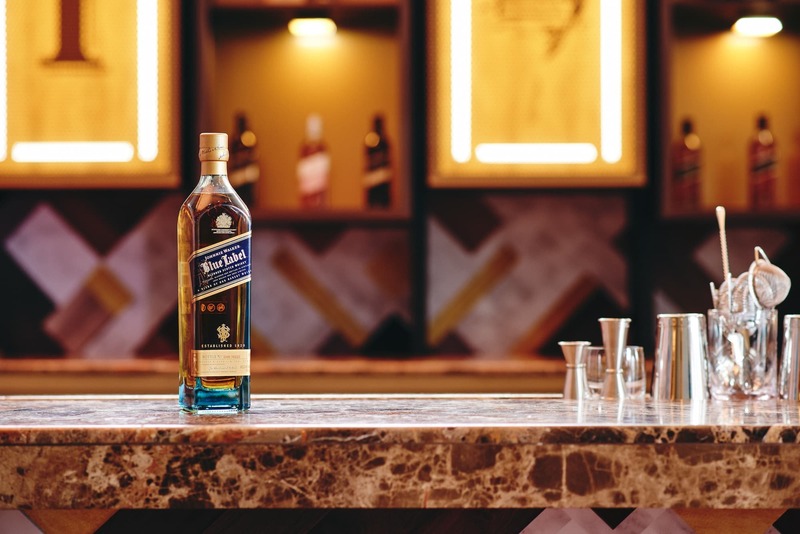 Johnnie Walker Blue Label has a wonderful depth of character and flavour, it’s a velvety smooth Scotch, with layers of fruit, spice and a long, lingering smokiness that brings something exceptional to this iconic cocktail. Are there any variations on the Old Fashioned that you recommend people to try at home? At home, the Old Fashioned should be kept simple and classic. Begin with a measure of Johnnie Walker Blue Label, then add your desired measures of sugar and angostura bitters. If you don’t have an angostura or orange bitter at home, then I am fond of using a few drops of balsamic vinegar in its place. This cocktail can be made in advance and chilled until ready to serve over ice. Is there anywhere you’d recommend for the best Old Fashioned? Many fantastic bars have created versions of the Old-Fashioned which emulate their personality and character. The places I’ve enjoyed an Old Fashioned the most include London’s Connaught Bar and the Artesian at the Langham. In Hong Kong, my favourite Old Fashioned was at a Mexican bar called COA. Specialising in agave, their approach was very precise and well-executed – a true treat of a cocktail. Do you have any secret tips for sprucing up the cocktail? 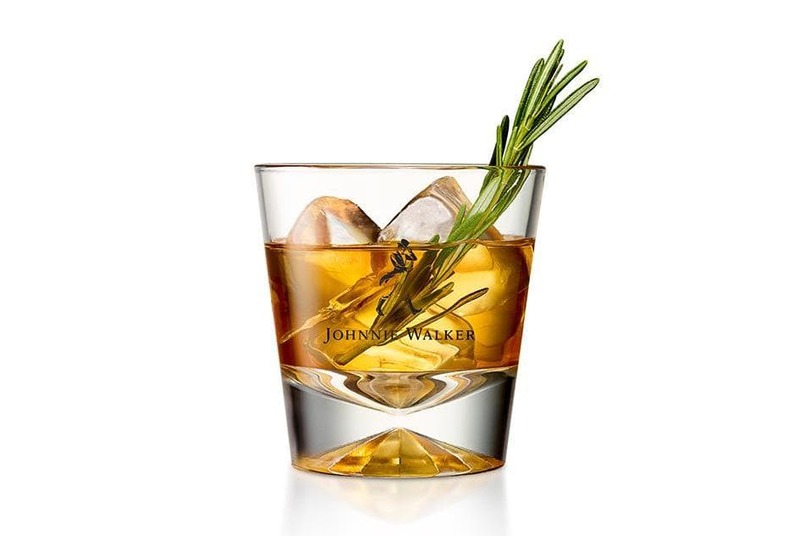 Follow a trusted recipe, use a great Scotch such as Johnnie Walker Blue Label, and take your time. You can also add a simple garnish, like an orange zest to add some freshness. What’s your personal recipe for an Old-Fashioned? I prefer an Old Fashioned to be kept simple, with one ‘wow’ ingredient that will entice our guests to order it (in this case, Johnnie Walker Blue Label of course!). I also like to include an ingredient which represents myself, and my culture. Stirred down, and served over ice with a citrus pickle essence.